It’s true that Pinterest can be helpful in many ways, but their DIY pins make everything look so much easier than they truly are- especially newborn photography! 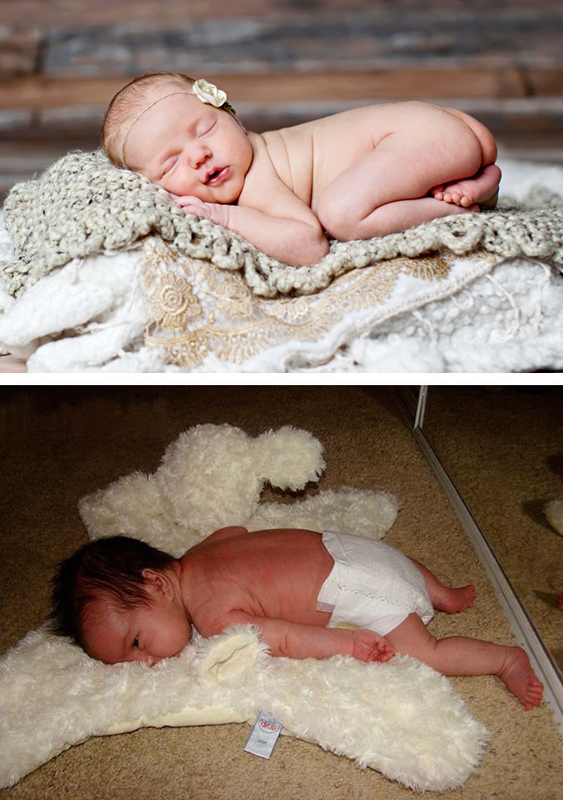 You may be thinking “how hard can it be to put a sleeping baby in a basket or to get a baby to fall asleep on their belly?” Well let me tell you, it takes years of practice and a strong knowledge of baby safety to ease babies into each of these poses. And that’s just the pose! There are about a hundred additional factors to consider, including lighting, camera settings, temperature, Photoshop, and the list goes on and on! You can see for yourself the difference between what DIY will get you and what a professional photographer can produce! Bringing a child into the world is without a doubt THE single biggest moment in your life! It tops everything else! A moment that special is worth hiring a professional to document it. 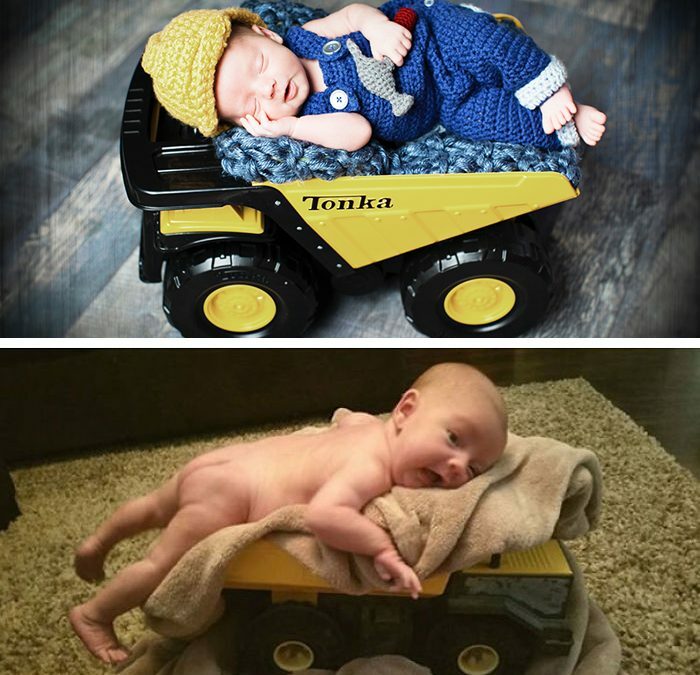 Most new parents don’t even realize how small the window of opportunity is to capture newborn photography—just two solid weeks after your baby is born. For this reason,, attempting to DIY your newborn photos on your own will leave you little time (if any) to get in touch with a photography and schedule a session within that short timeframe. Imagine how you would feel if you missed out on documenting your beginning forever! 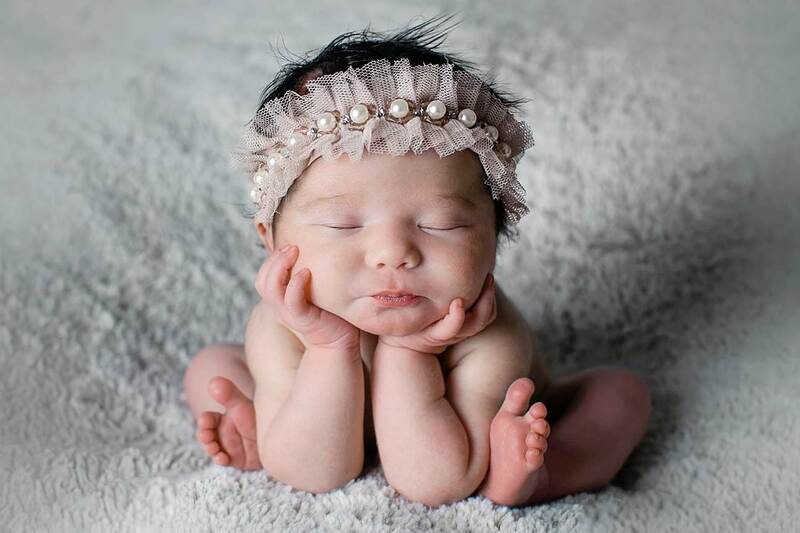 Professional newborn studios such as MAC Photography can provide a warm, quiet and soothing environment for babies to sleep. Props and swaddles are readily available to enhance the baby’s feature and compliment the decor of your home. Also, newborn photographers are trained to put safety first and know the limitations of a baby’s body. Another important factor to understand is that newborn photographers are well versed in Photoshop, which is how half of those adorable poses you see on websites are accomplished. An untrained individual should NEVER attempt complicated baby posing! That being said, there are moments you should absolutely capture yourself, like Dad and Baby napping together or first smiles. But the art you plan on displaying on your home should be left to an artist. Just like a painting, if you’re not skilled on the craft, the artwork is best left to the painter. 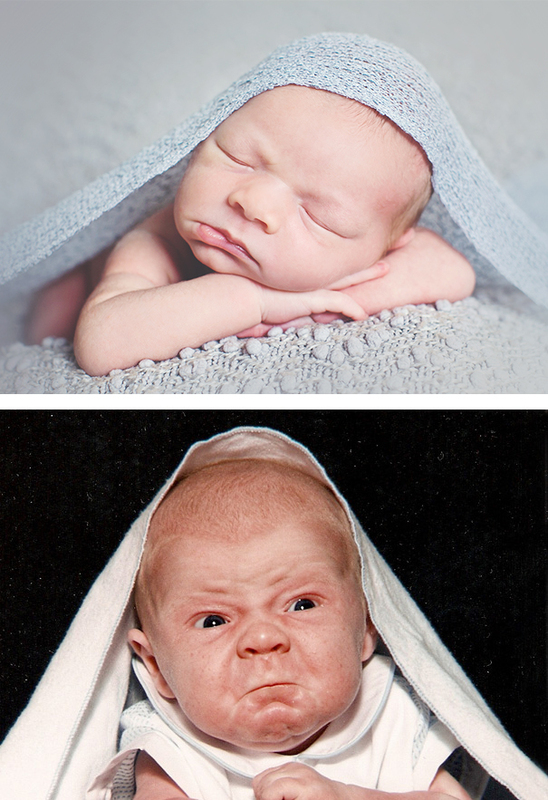 The same goes for newborn photography! Leave it up to a professional photographer and you won’t be disappointed. With MAC Photography, that I can guarantee! If you’re interested in finding out more about newborn photography or would like to reserve your own session be sure to fill out the contact form below and I will reach out to chat!